This stylish counter height table is perfect for the casual dining or entertainment room in your home. A rich dark espresso finish and sturdy block legs create a bold look. 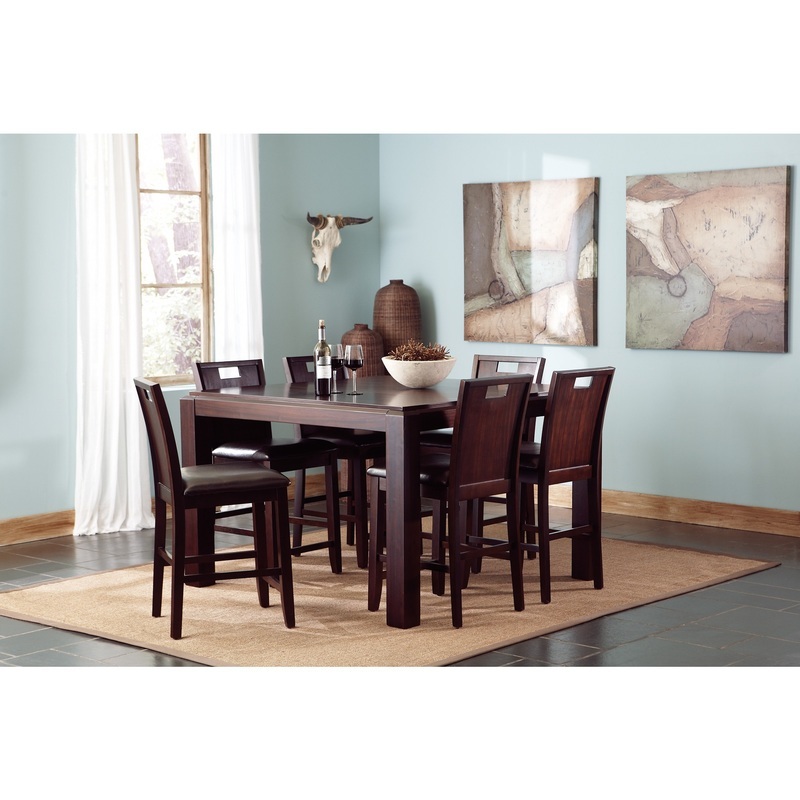 An extension leaf expands this table to 56 inches square so you can accommodate a group for dinner and drinks. Unique counter height stools feature a cool cutout in the chair backs, with comfortable and durable dark brown vinyl upholstered seats.